What is theology? Theology is talk about God, often slanderous. Perhaps the most hilarious of self-deceptions is thinking that you know what you’re doing. Human beings really do run on stupid, and we never run out of gas. Sermons are like basketball games: everything is won or lost in the last five minutes. Anti-Clinton media moguls are already planning to produce a TV series on Hilary if she becomes the 44th President. The working title is The West Witch; the central set will be called the Ova Office. You might say that in Jesus God learned to speak the language of humans. Fluency, however, failed him: he never did get the grammar of violence. 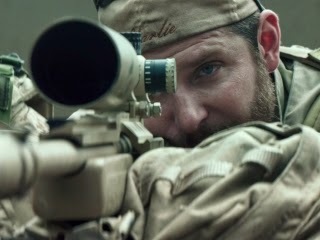 American Sniper – Now showing in a coliseum near you! Fifty Shades of Grey – Now showing in a dungeon near you! Mario Cuomo famously said, “You campaign in poetry. You govern in prose.” I think he meant “doggerel” and “drivel”. In the Church of the Good Coffee, Starbucks is the equivalent of Arianism. Did you hear about the Seattle Seahawk fan who declared that the Boston blizzard was God’s judgment on the Deflategate scandal, and then at the Super Bowl stood behind the Patriots’ bench holding a placard reading “Ephesians 2:2 (KJ)”? Satan in the wilderness – what a mug. Stones into bread, a death-defying leap from the Temple, all the kingdoms of the world – big deal. If he were really serious, the devil would have taken Jesus to the Bronx and offered the lad a Major League baseball contract. How could the Messiah resist playing in The Show, even wearing pinstripes? What Jesus learned in the wilderness is that nothing fails like success. According to creationists, there are three kinds of falsehoods: lies, damned lies, and cladistics. How would I define “contemporary worship”? As a form of liturgical hazing. Creatio ex nihilo or ordo ab chao? The former. The latter is too tough an ask. I think of my 2 ½-year-old granddaughter moving from room to room leaving a trail of ground zeros, and then multiply it by a universe – yep, too tough an ask, even for God. “The Archbishop of Canterbury has come to the defence of Stephen Fry who infuriated Christians by denouncing God as ‘utterly evil’, ‘capricious, mean-minded, stupid’ and ‘monstrous’” (Telegraph 5 February). Absolutely (apart, maybe, from the “stupid”: it seems to me that there’s a genius to this deity’s creative malevolence). I look forward to the MPA of the C of E distributing Je suis Ivan badges to every parish. At the 1973 National Prayer Breakfast, which occurred two weeks after President Nixon had ordered a ceasefire in Vietnam, Senator Mark Hatfield said, “Today our prayers must begin with repentance…. We must turn in repentance from the sin that scarred our national soul.” That was truth speaking to power. This year, judging from conservative reaction to Obama’s speech, power spoke truth to stupid.